I am considering selling 1995 #49, laser red car, leather recaro car. Here is how I bought it. It would start but stumble, and really had no power! It would not drive around the block. It was missing a key gasket in the MAS body so the voltage was jumping all over the place.Approx 23K miles. Anderson power pipe. Bassani X pipe, 3 inch exhaust system. Not loud, deep but not overly loud.Car was repainted VERY nicely). Carfax reveals a slight front ended in 1996 I think. New core support at that time. Remove, repaint,re-install side skirts. I could not open the doors ( mainly the drivers door) so it had to be done, plus the paint was coming off all over. Added NOS Alcon rotors, nice used Saleen Alcon Calipers, new pads. Originals were gone, had wrong brakes installed. Clean and tastefully/carefully redye seats to cover some stains in the leather. It took weeks, they are now stunning. Soft, not cracked in any way, head rests are PERFECT. Lightning 42MM MAS air. Have old one. Disabled super FMU ( left it in place) added a proper adjustable fuel pressure regulator, and rail mounted gauge to check rail pressure. Replaced EVERY suspension bushing with new high tech bushing parts. All in red. Replaced a lot of MSD after market stuff with FMS original items.Coil, wires etc. Replaced after market clutch cable that was binding with an original piece. It has a big boy stiff clutch. That remains. Ford racing wires, stock coil to replace MSD stuff that was causing mis fires. Have but not installed, set of original NOS 1995 351 black mats, and Saleen marked NOS spark plug wires. These may not be included with a sale. Not sure. Second set of wheels may be available. New dash Fuel pressure gauge. NOS from my stash. All gauges now work perfectly. Fixed Boost a pump. New plugs. Cleaned 42 pound injectors. Dyno tune to rid it of bad habits. Did approx 440 HP ( IIRC) to the rear, it has a lot more in it, but at the time, he sent me away to replace the msd stuff, to bring it back. Jake Lamotta did the tune. He says it has another 50+ HP in with another tune. Corrected some door shut line slop. Some scrapes on front spoiler, front under curb damage. Not terrible. No bad habits. Does not stall at stop lights, starts and drives like it should, FRIGID A/C.. Has a slight vagueness in steering at the center, that no other of my #351's have had. Could be the steering rack, or an alignment. Nice linear power. Blower does sing louder than I am used to. I really want a vert, so 40K takes #49 away. The 95 S-351 vert press car is for sale. Where is it for sale? Thank you. 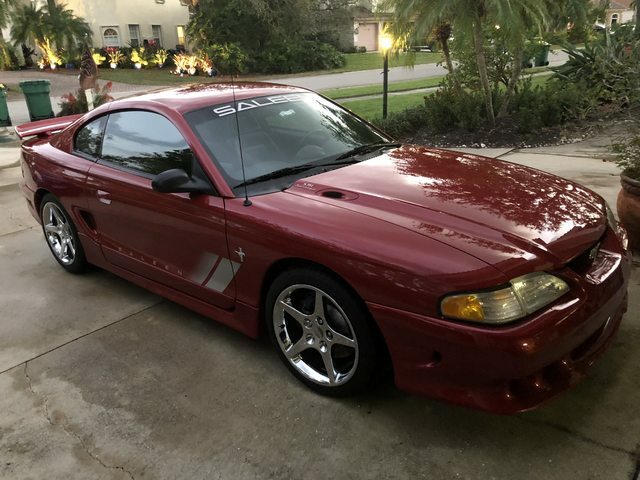 Be patient and attentive to the Saleen market if 20k is your price range. If you are looking towards customization, keep your eyes open for a project S351 or one with a less-than-perfect title. 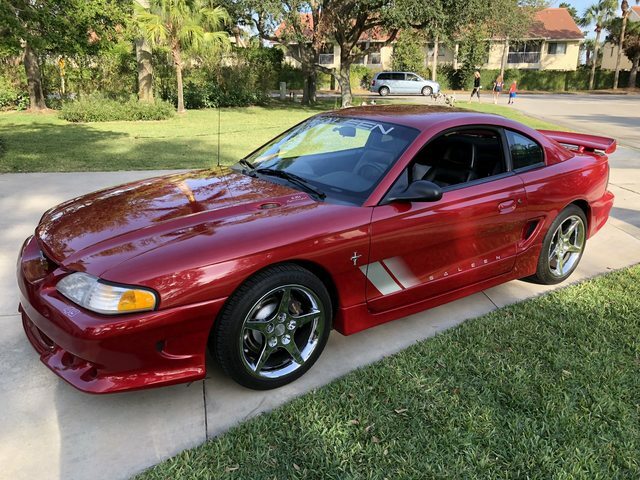 Currently, S351s and 2003-04 S281 Cobras are not on the low side of the Saleen hobby. Thanks everyone. I have a new target in mind, so I update this with renewed interest in selling. 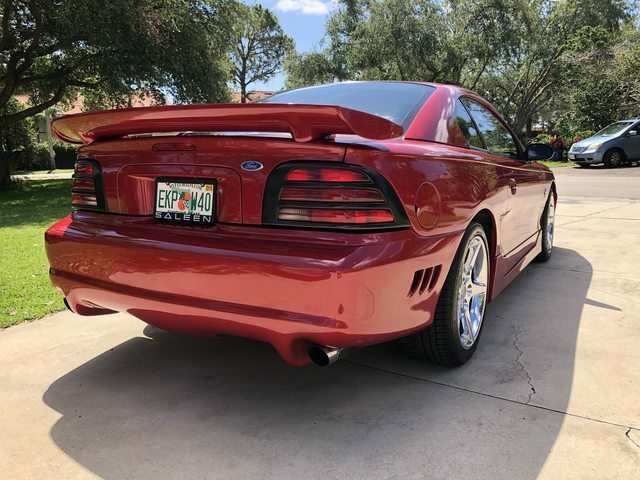 If you want a beautiful 1995 original blower car, contact me so that we can talk. Happy 4th everyone. 38K, if you have an interest, lets talk. It's time for me to move on, I might even throw in a set of 10 Magnesium wheels. The video you uploaded does not seem to work.....can you point me to it directly? I am also in Florida (St. Augustine), are you selling the White one you have as well? please give me a call at 239 537 4369 and we can discuss!!!! Photo bucket now does not allow public postings, so I will upload to video ! White one is not for sale, but could be. I am down sizing my stuff to care for. One more fun one from the veteran in the group. From the other "S" company. No sound? Each has sound for me. Just checked on two other computers, sound works perfectly. Maybe your speakers are turned off? User error, Dan.....had an issue with Chrome but figured it out.....The other "S" company sure "sounds" like a blast! Lets get serious. 35K. I need to get some stuff gone. Purchased the needed steering items today, so off the market for now. Good luck for everyone hunting. Stock Ford pieces back in. 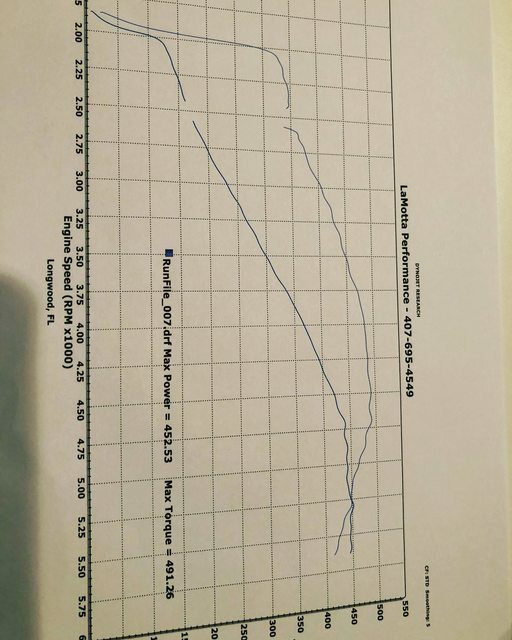 Boom, one small timing adjustment, resulted in 452 RWHP and over 490 Tq. Not bad for the old girl. So ,I decided that the steering wheel play was the result of a worn steering shaft, so I ordered up a nice Maximum Motorports power steering steering shaft , installed it and boom. No more wheel play on center.I also had the A/C leak checked,and they found a small leak,had it filled up again. So , if you want an iconic, 450RWHP real S351 with genuine leather recaro seats, original R car,look me up. Hello! Guessing you are still trying to sell? Time to drive the back roads to Orlando!